Youth in Action | What's with the Climate? Climate change and its impacts would severely test the capacities of nations to curb the instances of loss and damage, and also of communities to continue to adapt to unpredictable and rapidly changing weather patterns. Thus, to prepare for a world that is dealing with climate change, capacities of the nations, vulnerable communities, youth, and individuals need to be enhanced. Role of education and training for developing both mitigation and adaptation action will become significant as the world tries to develop resilient, equitable and just systems. Article 6 of the United Nations Framework Convention on Climate Change address this need and stipulates the promotion of education, training and public awareness on climate change. It defines activities under two sections in six priority areas, and lays emphasis on the participation at all levels and of all stakeholders in the climate change process. Training of scientific, technical and managerial personnel. Article 6 delineates in detail the commitment of the Parties to UNFCCC as outlined in Article 4, which, on the basis of CBDR (Common but Differentiated Responsibilities) underlines, ‘the need for promotion and cooperation on matter related to climate change education, training and public awareness.’ Article 4 also explicitly states that Parties ensure wide participation of the people including that of non-governmental organizations. Article 6 can provide necessary impetus to the countries to develop and implement programmes that will educate their populations about climate change and how it will affect various sectors and constituencies. It, along with Article 5 (research and systematic observation), provides the blueprint for developing adequate responses on dealing with climate change, its prevention, along with disaster management and relief in the event of loss and damage. New Delhi Work Programme: At the COP-8 in New Delhi, the New Delhi Work Programme (NDWP) was launched as an elaboration of Article 6 for better understanding and implementation of the different provisions of the Article in Decision 11/CP.8. NDWP was a five-year country-driven programme aimed at engaging all stakeholders in the implementation of Article 6 as well as in seeking recommendation on the activities that could be undertaken to meet the commitments under the Article. NDWP’s mandate came to an end in 2007 with participation being its primary focus. Amended New Delhi Work Programme (ANDWP): In 2007 at COP 13 in Bali, parties recognized NWDP was a good framework for action on Article 6 and a decision was reached to adopt amended New Delhi Work Programme (ANDWP) for another five years. (decision 9/CP.13). It was recognized that implementation of Article 6 was a long term process where national efforts need to be supported. In this regard, actions towards strengthening regional and sub-regional cooperation became important elements of the programme. It was extended for another five years with a scheduled review in 2012. The focus of the programme was public awareness, public participation and public access to information. Implementation of the stipulations was to be considered by the National Focal Points (NFP’s) with consideration for each country’s specific conditions and characteristics. In 2010 at COP 16 in Cancun, an intermediate review on Article 6 was undertaken by parties to identify gaps in implementation and outline best practices and recommendations on improving the actions that need to taken. Parties to the UNFCCC and civil society organisations submitted their recommendations at Cancun. The Cancun mandate was thus to assess the, “progress in, and ways to enhance, the implementation of the amended New Delhi work programme on Article 6 of the Convention”. Decision at Cancun recognized women, youth, indigenous and civil society groups as vital stakeholders, non-formal education and informal education as important part of educational training and public awareness. It also urged the Global Environment Facility (GEF) to increase access to funding for Article 6 related activities. Inter-governmental and non-governmental organizations were also encouraged to enhance efforts and share information on their respective activities on the information network clearing house CC:iNet of UNFCCC. Doha Work Programme: At COP 18 in Doha in 2012, the COP adopted decision 15/CP.18 on eight-year Doha Work Programme. It was also decided to undertake a review of DWP in 2020 and an intermediate review of progress in 2016. GEF was requested to provide continued financial resources to non-Annex I parties i.e. developing countries and least-developed countries for implementation of the article. All parties were asked to communicate actions taken and experiences on work programme for the 2016 and 2020 reviews. An annual in-session dialogue on Article 6 implementation was agreed to be organized under Subsidiary Body of Implementation (SBI). Youth Intervention and participation: Article 6 provides youth along with women, indigenous group with an opportunity to intervene directly in policy and implementation process. The Youth Non-Government Organisations (YOUNGO), acting as the hub of the youth constituency, have a YOUNGO Article 6 Working Group that came out with ‘Enhanced Youth Participation and Education in Climate Change- The Article 6 Implementation Toolkit’ during COP 17 in 2011, Durban. The toolkit was made available at the CC:iNET and is an important contribution towards understanding the implications and stakes for youth in the process by way of the Article 6. As observers and parts of the movements connected with grassroots, youth have been important agents in strengthening and democratizing the process under article 6. Their reflection on the representation of different groups and constituencies reflect a deeper understanding of the politics of climate negotiations. At the inter-sessional in Bonn, June 2014 at SBSTA-40 meeting, the youth highlighted the need for continued discussion and focus on Article 6 of the Convention, in particular on public participation. Thereby, they asked to enhance participation of the observers and noted the under-representation of the youth from the global south at the negotiations. Significance and the Way Forward: The scope of interpretation of Article 6 is very large can help mainstream climate concerns as well as its complex inter-linkages with other environmental issues – like water availability, droughts, floods, food availability, livelihood questions- into national curriculum to prepare climate-resilient societies with necessary skills and capabilities to augment disaster preparedness and adaptation strategies. It has the potential to create a more informed national and global community that better appreciates the challenges related to climate change. Education, training and public awareness create a much informed citizenry that can critically assess and feed into the developmental policy-making and implementation of actions on adaptation and mitigation. Education and training can enable youth as agents to become empowered and assess governmental planning and implementation of actions (mitigation, adaptation, developmental) on youth and other vulnerable and marginalised groups. Through this, developmental and growth policy across the world can be subjected to greater scrutiny and decision makers reminded of precautionary principle when proceeding on important issues. Transformation to a world weaned off from fossil-fuels will need leadership and action by youth on matters of science, ecology and environment. Mainstreaming of environmental concerns into developmental policy will need trained and skilled people. Article 6 and youth involvement together can address this emerging urgent need. Prepared by Reva Prakash after consultation with Indian Youth Climate Network members. Earth Negotiations Bulletin, Vol. 12 No. 598: pp6. Categories: adaptation, climate change, environmental justice | Tags: climate change, Indian Youth Climate Network, UNFCCC, youth empowerment, Youth in Action | Permalink. Even as we all hold our breaths awaiting the release of the national strategy on climate change adaptation and mitigation which has been delayed time and again, the Indian youth are mobilizing once again to turn up the pressure. Rumors abound around this national strategic plan which is being formulated without input from civil society (granted there are noted environmentalists on the PM’s council who are working to draft the policy). The Indian Youth Climate Network in conjunction with the Friendship Foundation, Global Citizens for Sustainable Development and the Nature & Biological Sciences Society are organizing a national level summit where 200 youth and young professionals from across the nation will gather to set India’s agenda on climate change, debate the post-2012 scenario and evaluate the national strategy which will hopefully be released by then (the Summit is scheduled for early August). 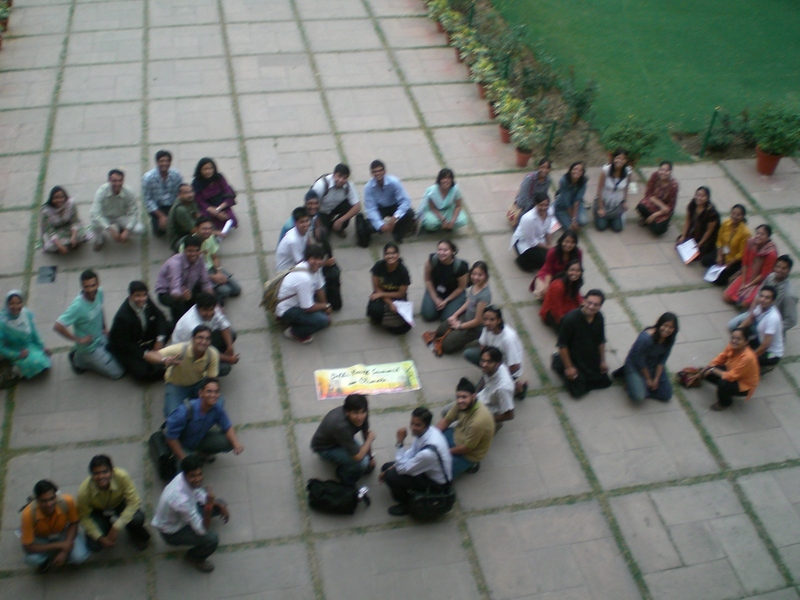 Categories: Events | Tags: climate change, Hyderabad, Youth in Action | Permalink. 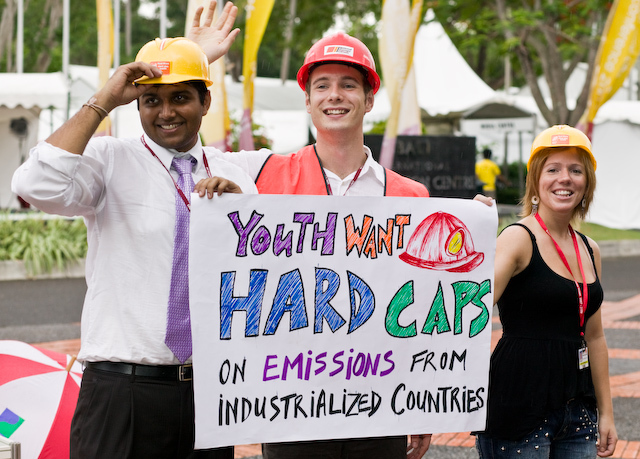 Saving the planet – youth style! A couple of months back, a group of us converged in Bangalore for a youth workshop on Intergenerational Partnerships for Climate Change Mitigation. It was our own workshop where we had tried to discuss how youth could forge partnerships for climate change mitigation as a basis for achieving sustainable development. The location was Visthar, a beautiful youth training center to the north of Bangalore, with a campus bearing a striking resemblance to a natural forest! There were only about twenty participants, mostly youth, but representing many different vocations – there were students, engineers, scientists, activists, artists, teachers and even bankers! The discussions we had were no less stimulating and productive than expected from a much larger and more ably qualified group either. 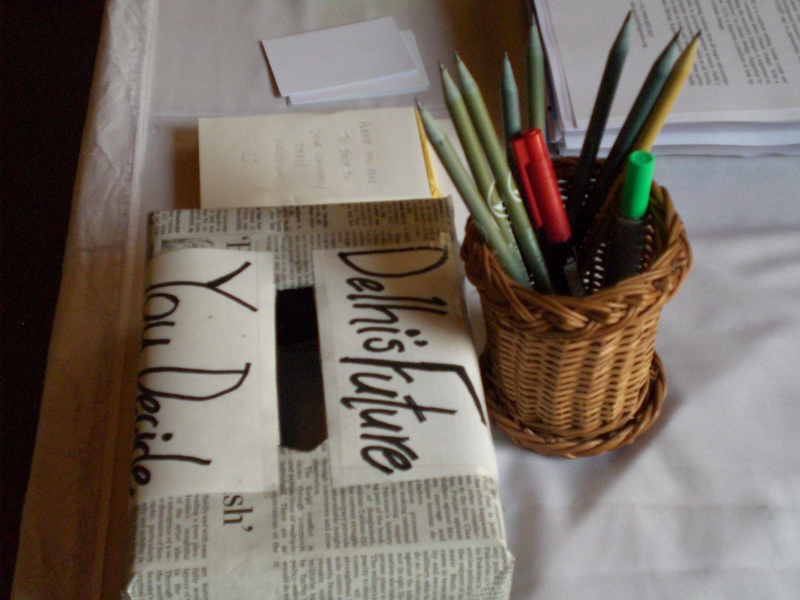 Most importantly, the workshop brought us together and enabled us to derive motivation from each other! A range of presentations displayed the commendable initiatives that youth across the country were involved in, and clearly reflected the amount of groundwork that was being undertaken. What was particularly evident was the myriad ways in which climate change affected communities and people alike. A college student from Hyderabad presented her case study on the prevalence of asthma, and meticulously related a rapid increase in the incidence of this common respiratory ailment to climate change as projected by the IPCC findings. Another group from Patna presented a moving report on how freshwater discharge into the Ganga river would be subjected to extreme variations because of climate change, how water mismanagement was compounding this situation and how this would profoundly impact the lives of the people of Bihar. Anugraha John from Bangalore spoke of his experiences with his youth environmental program, the China-India forum and of his vision for the Asian Citizens Alliance, an intergenerational gathering of committed change makers from across Asia that he envisioned. Kartikeya Singh of the Indian Youth Climate Network (IYCN) also described his experiences with the international climate change movement, and of the purpose and vision of the Indian Youth Climate Network. We also had the opportunity to hear from eminent specialists – Mr. Shree Padre, the Magasaysay award winner and an established authority on rainwater harvesting, eloquently described how surface water was being wasted and spilled, and how climate change would cause an enormous decrease in rainfall and available surface water. Prof. Bhavani Shankar, retired Chief Civil Engineer of Karnataka shared with us the technological side of climate change and its impacts on water availability, and of the need for reviewing river water command area management to incorporate reduced in flows as an adaptation measure. We even managed a field trip to a CDM financed sustainable biogas cooking stoves project near Bagepalli, an hour’s drive north of Bangalore. The visit was highly informative, and we witnessed how economic benefits from market based climate change mitigation can bring sustainable growth to communities, although the inherent irony of those least responsible having to cut down on emissions wasn’t lost on us! From the presentations and the ensuing discussions, it was evident to us that youth were not only clearly capable of positive action, but were also raring to go! What was needed was a convergence of ideas, not just people. Realistic, achievable and innovative ideas that could help effectively mitigate climate change forever, and help percolate sustainable benefits to our countrymen. We departed from Visthar after two days spent in the rare company of like minded people sharing concerns and outlooks, with a firmer resolve to redouble our efforts towards creating a sustainable planet. Categories: climate change, Events, Youth in Action | Tags: climate change, intergenerational partnerships, sustainable development, Youth in Action | Permalink. Who will Arise to the Climate Challenge? Youth: comprising 48% of the global population, or roughly 3 billion people. It is our future that was at the negotiating table in Bali last December at the UN Climate Change Conference. Yet we the youth had no say about our very own future that according to some has already been burned away by the generations preceding us. It is important to note that the so called “developing countries,” where more youth are coming from simply because of demographic advantage and where more people directly depend on their natural resources for day to day survival, have more to lose from our changing climate than those in the industrialized nations. It is ok to sit back and not be phased by it if you are not sensing the change that is already evident around us. But to those youth of South Asia, where more than a billion people depend on an increasingly erratic monsoon and where the lives of hundreds of millions depends directly on waters sourced from the retreating glaciers of the Himalayas, we must arise to address this looming crisis of global proportions and unimaginable local implications. When I embarked on my journey to Bali this last December with the US youth delegation (yes, youth representatives of the world’s largest emitter of green house gases), I was looking forward to bridging the voices of youth from the global North with those of the global South. 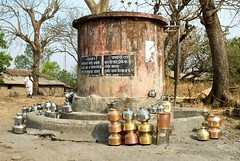 Being an Indian citizen, it was a rather unique opportunity to be in the middle of one of the biggest road-blocks to the success of the negotiations: the as of yet irreconcilable US vs. rapidly industrializing country view on the “common but differentiated responsibility” for mitigation of greenhouse gas emissions. Unfortunately, I found myself to be the only Indian youth present (and one of only a few from all of South Asia) at the historic talks which were supposed to define how negotiations would take shape in the post 2012 world. With this in mind, I helped form an Asian Youth Caucus on the sidelines of the informal “International Youth Delegation” which was dominated by well organized and well informed youth from Canada, Australia and the United States. In an effort to get increased participation from youth from the global South and give a more holistic angle to the youth perspective, it was apparent that we would need an unofficial Asian youth caucus which would help us share stories and ideas in the Asian context. Being the only Indian youth—I aimed to bring in the stories of and plug in the voices of youth from South Asia in this pan-Asian network. The start of the conference was filled with high energy and high hopes—all of which turned into frustration in the second week. Recent polls in the US have revealed that approximately 80% of the population would now like to see firm action on climate change. Within the last year we saw major youth movements across the US in the form of the “Step It Up” campaign, and more recently, the largest public gathering on climate change, “Power Shift,” which saw nearly 6,000 youth from nearly every congressional district in the US converge on Capitol Hill in Washington D.C. Why then one would ask, is there a disconnect between the current administration and what the majority of Americans really want? The US negotiators in Bali asked of us whether we had the votes within the US to demand of them to make stronger commitment at the international negotiations (because it is the administration in power that dictates international policy). Thus the goal of our delegation was clear: go back to the US and mobilize the masses to take action at the polls—which we hope will happen in the coming elections. Regardless of the outcome, it is clear that change will only come with the spreading of awareness. Meanwhile my interaction with the Indian officials can be summed up by sharing one simple interaction: upon my telling one of the negotiators that I was an Indian youth representative, he simply replied, “the youth? . . . Shouldn’t they have the same views as their elders?” This is one of the fundamental problems right now. The problem of climate change is so complex that politicians must realize that it goes well beyond the games they play. Its ecological implications are so far reaching that it is a problem that will cross-cut generations and be magnified for our generation. Youth of India, a young nation, must have their voices heard by politicians who are debating our very future. A nation at the cross-roads, while we must demand climate equity at an international level, we must also demand that we do not go down the pathway of the industrialized nations before we too find ourselves in a hydrocarbon trap. So where do we begin? There is hardly any debate amongst us youth here in India right now regarding climate change. Yet there are signs of the change all around us. Go to the rural areas and ask the struggling farmers whether they have noticed a change in the weather patterns within the past 10 or more years and the answer is always yes. Look to your cities—are they too choked with fumes from the growing number of cars in the back drop of a rapidly expanding concrete jungle with decreasing green cover? Make the connections and see where our country is headed. Some will argue of poverty and education being bigger priorities for our growing nation. Others will point at the US and the industrialized nations claiming they should take action, not us. While this is true, won’t our abject poverty make us even more vulnerable to the changing climate? Do we sit by and watch our own house burn? Shouldn’t we as Indians redefine the concept of “development” which we always associate with the West? Where do we begin? Perhaps we should start by discussing it in an Indian context and eventually establish an “Indian Youth Charter on Climate Change.” I hope that this all too important dialog will begin before it is too late. Before the Bali conference, I never dreamed that a process on which the world’s fate rests so heavily could be so complicated and so cumbersome to the point that all sense of urgency is lost in the labyrinthine process itself. I have never been so disappointed with the international political process. We did leave Bali with a victory of sorts with the US conceding to the need for deep emissions cuts. The youth present at the conference had made a stand in the final hours of the harrowing debate and we believe that our voices were heard. It is with this hope and our attempts to get official stake holder status with the UNFCCC (Framework Convention on Climate Change) that I am more determined now than ever before to become a part of this dialog and to make change happen from the bottom up. As youth from India, a country whose role in the process is becoming increasingly apparent, we must make our voices and our presence felt not just at the national but international level. Climate change is the biggest challenge any generation has had to face in the history of the planet and how we address it will define the fate of all humanity. Who then is ready to take up this climate challenge? 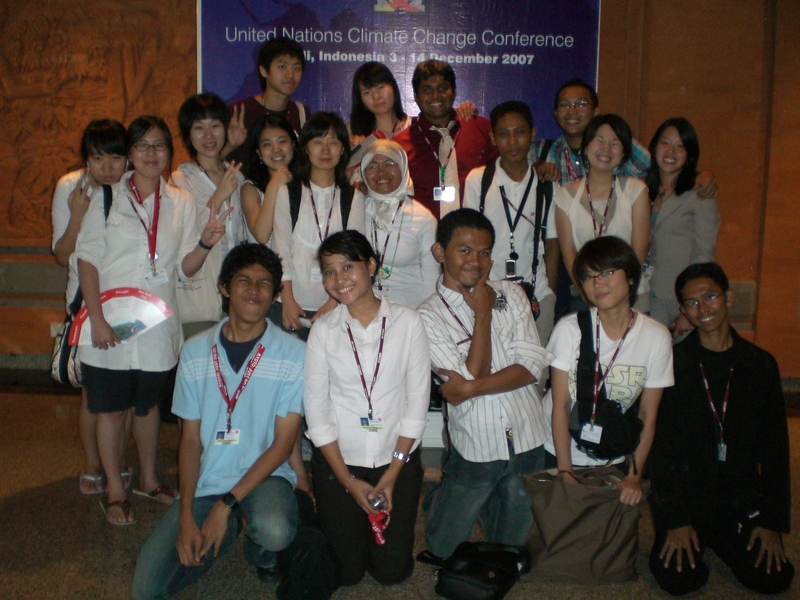 Categories: climate change, climate justice, United Nations, Youth in Action | Tags: Asia, climate change, climate justice, India, IYCN, United Nations, Youth in Action | Permalink. “We’re on our 8th day of fasting,” said one of the students from Calicut University, Calicut, Kerela. “We don’t want nuclear to be a part of our future.” Several students including Abdul Rehman, Saji Mathew, Ramziya Rehmat, Tomy Jecob, Krupa and Divya, inspired by one of their professors came all the way from the southern state of Kerela up to the seat of power in Delhi to voice their concerns regarding the long-pending Indo-US nuclear power deal. They are members of the Students Against Nuclear Power (S.A.N.P) group. The Indo-US Nuclear deal, also known as the “1, 2, 3” Deal has been full of controversy ever since its inception. Though first started by the NDA government of the late 90s and early 2000, it has reached its final stages under the current UPA-led coalition. The deal is significant for many reasons but mostly for its implications of India finally being deemed a “responsible nuclear power” status by the US–bringing the country out of official isolation on the subject. It is important to note that India has not signed the non-proliferation treaty. Categories: nuclear power, Youth in Action | Tags: climate change, India, Indo-US nuclear deal, nuclear power, youth empowerment, Youth in Action | Permalink.